We have been working away this month opening our new decor shop which is right next door to us! Pop in and see our range of beautiful designer fabrics and wallpapers, amazing cushions from Trent and Troy, our gorgeous Buhle Pendant lights, selection of curtains and blinds, and more! Enjoy a cup of coffee or tea while piecing together your own scheme with our fabric and wallpaper books on hand, and there is always a designer around to ask for advise! Or book an appointment with me in the store and I will gladly assist you with your schemes. 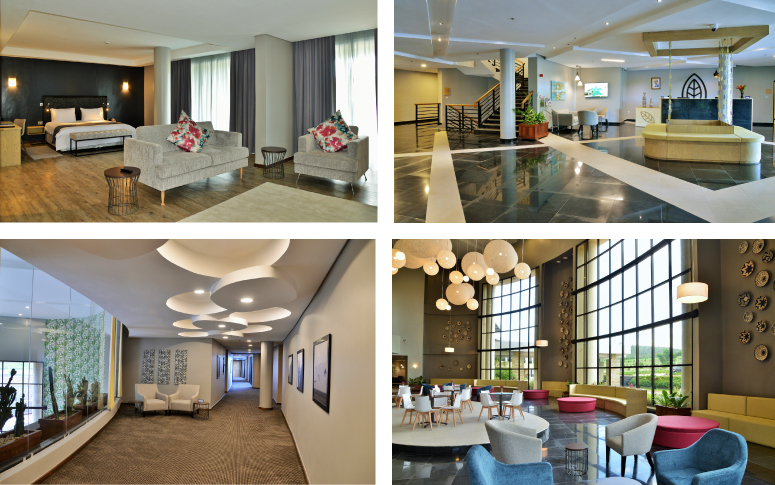 I know we have spoken about our hotel design in Rwanda for a while but we finally got some images of it complete! We are in love with the ceiling and floor design details. It’s a pity the photographer never straightened the cushions though. September has been a brutally busy month, we are cramming all design work in for the Christmas rush! Yes I said it, Christmas! The decorations are up at Checkers. Go look. 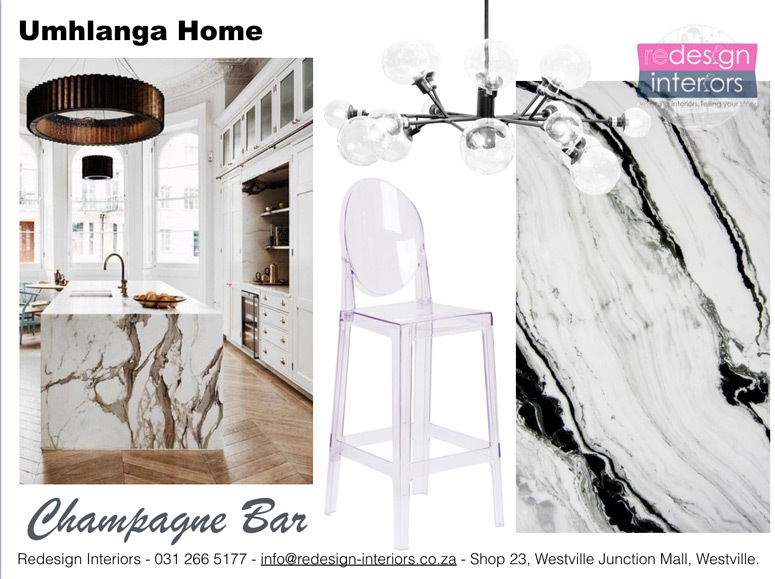 Here is a sneak peak of one of the concepts we have been working on, a breath taking black and white champagne bar in the Umhlanga area. The perfect interior to show off your perfect little black dress, and sip champagne. We offer a full turnkey interior solution from concept design to final completion. 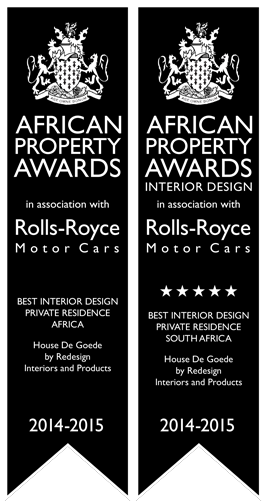 We have teams of architects, contractors, sub contractors and everyone we need to create your dream interior. Security Question: What is 20 + 40 ?